Our state Legislature is considering how to fund the Family Leave Act of 2007. Opponents of the law, citing costs, are attempting to repeal it. Their concerns are understandable, but misplaced. Family leave puts family first — where it belongs. And it does so by compensating our businesses’ greatest asset: Washington workers. Two of the most special times in my life were when my two daughters were born, savoring the miracle of those new lives in our home. As a pediatrician, I know how important the first weeks and months of a baby’s life are for the long run. Children have a good start and better health when parents can be fully engaged with their new child, moms can breastfeed, and the stress of work and family finances doesn’t interfere. But children aren’t children forever. They grow up to become adults, with jobs and children of their own. Cancer or a car accident can happen to anyone at any time, and the impact on health and family finances is often devastating. Later on in life, grown children often become caregivers for their own parents. That’s why I believe Washington legislators should quickly adopt the proposed plan to expand and implement family and medical leave insurance. Family and medical leave insurance would provide a modest income to working people who have to take time off to care for a new baby or seriously ill family member, or for their own serious health condition. The insurance would be self-financed, so it doesn’t compete with other state budget priorities like education. And it won’t be a handout — only working people who play by the rules will be eligible for benefits. Under the plan, workers and their employers would each contribute premiums of 0.2 percent of pay once the system is fully up and running — that’s about $1.50 per week for the average worker in Walla Walla County. Then when they have a new baby or a health crisis, the worker could draw two-thirds of their usual weekly pay from the fund for up to 12 weeks, limited to a maximum of $1,000 per week. Family and medical leave insurance is an investment that will pay big returns — for children and their parents, workers and businesses, and our elders. After more than a decade as a pediatric anesthesiologist and critical care physician, I’ve seen lots of very sick kids. When a child becomes critically ill, the parents’ whole world is turned on end. Moms and dads need to be there for their kids and available to make medical decisions. The last place those preoccupied parents should be is at work. Cushioning our workforce from the huge financial setbacks that often accompany a serious medical problem will boost our state’s economy and increase quality of life for working adults, both today and when we retire. Employers will benefit from family leave insurance, too. Workers can focus on family and health during critical times, and return to work when they are ready to be productive employees again. Their employer won’t be paying their wages, so can hire a temporary replacement if necessary, and still have a valuable trained employee able to return to work. Giving all of our children the benefit of a good start to life will help them grow up to be well-adjusted and smart — exactly the type of person I want taking care of me when I am older. 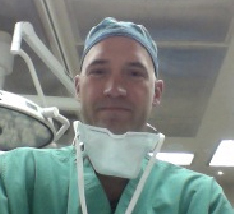 Dr. Robert Smith has practiced as a pediatric anesthesiologist, critical care physician, and pediatric pain specialist. He is currently practicing anesthesia in Walla Walla.